Mr. Clifford, a partner in the firm’s Pasadena office, has more than thirty-five years experience advising public entities, businesses and employee benefit plans on ERISA, employment law and related business matters. In addition, he represents such clients in litigation and administrative proceedings. He has tried more than 100 state and federal cases and represented his clients in over 25 cases on appeal before the California Courts of Appeal, the California Supreme Court and the United States Court of Appeals for the Ninth Circuit. 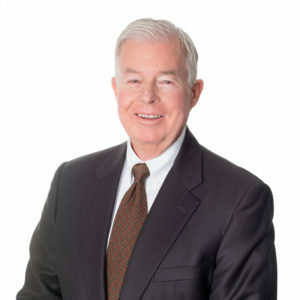 He has served as counsel for employee benefit plans since 1978, assisting with regulatory compliance, plan design and matters before the IRS, the Department of Labor, the Department of Health and Human Services and other federal agencies, and he advises his clients on ERISA, HIPAA, COBRA, the Affordable Care Act, the approval of qualified domestic relations orders and other federal legislation and related regulations. Mr. Clifford also represents these clients in litigation and administrative proceedings. Early in his career, Mr. Clifford worked as a Deputy in the Office of the County Counsel, Los Angeles County, serving in the Courts and Law Enforcement Division and the General Litigation Division. Since 1990, he has represented the County Fire Department, Sheriff, Coroner, Probation Department, Department of Health Services, Department of Parks and Recreation, Department of Community and Senior Citizens Services and Department of Children’s Services. He has handled cases before the EEOC, the DFEH, the Civil Service Commission and Employee Relations Commission, and in federal and state court. Mr. Clifford received his law degree from the Southwestern University School of Law where he graduated in the top ten percent of his class. At Southwestern, he received American Jurisprudence awards for excellence in the study of Corporations and Criminal Law. Mr. Clifford obtained his undergraduate degree from the University of California at Los Angeles with a major in History. Throughout his career, Mr. Clifford has been active in his church and in various charitable and fraternal organizations. He is a member and past president of the Wilshire Rotary Club of Los Angeles and a Past District Governor of Rotary International. He is now the legal advisor for Rotary District 5280. Mr. Clifford is a member of the State Bar of California and is admitted to practice before the United States District Court for the Central, Southern, Northern and Eastern Districts of California. He is also admitted to practice before the United States Court of Appeals for the Ninth Circuit and the Supreme Court of the United States.